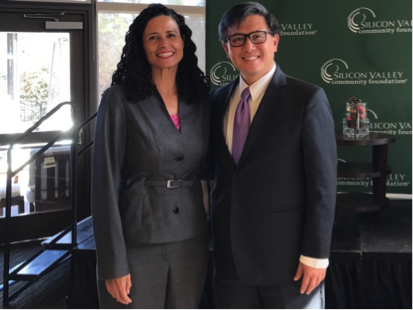 My Shot: Finishing the Choose Children 2018 series of interviews with gubernatorial candidates in Palo Alto, First 5 LA’s Vice President of Policy and Strategy Kim Pattillo Brownson joined leaders of the Silicon Valley Community Foundation (SVCF) on December 7 for a discussion with Gavin Newsom, and this past Monday for a discussion with John Chiang. Gubernatorial candidate Antonio Villaraigosa joined Pattillo Brownson and SVCF leaders at an earlier event. First 5 LA is supporting SCVF’s Choose Children 2018 campaign, which calls on gubernatorial candidates to champion young children’s issues during the race. You can view all of the interviews with the candidates and Pattillo Brownson’s thoughtful introductions on the Choose Children 2018 Facebook page. The Time Is NOW: First 5 LA’s Vice President of Programs Christina Altmayer served as a keynote speaker on December 8 at Maternal Mental Health NOW’s policy roundtable, designed to launch their new briefing paper Moving Forward: Collaborative Solutions for Perinatal Mental Health in Los Angeles County. 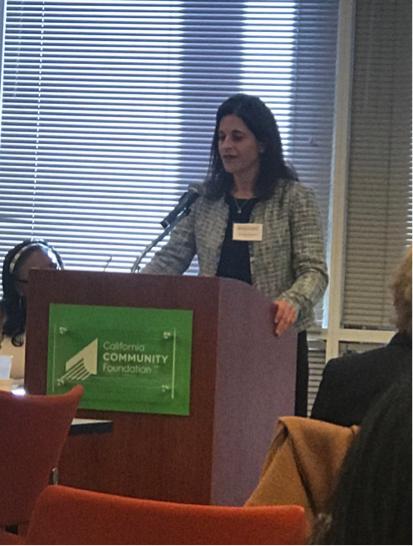 She spoke alongside other leaders in the field including Cynthia Harding, Deputy Director of the Los Angeles County Department of Public Health, and Catherine Monk of Columbia University Medical Center and ZERO TO THREE Board Member. The event, held at the California Community Foundation in Downtown L.A., welcomed approximately 100 thought leaders and decision makers to discuss the paper, including the stark findings that nearly one-third of new moms in L.A. County report symptoms of depression during pregnancy and nearly half after birth. First 5 LA funded the gathering. Star Power: First 5 LA staff last week joined television and early childhood celebrities from across the nation for the Children’s Defense Fund (CDF)–California 27th Annual Beat the Odds ® Awards ceremony at the Beverly Wilshire Hotel in Beverly Hills. This gala honored five L.A. high school “stars” in recognition of their excellence in academic achievement, despite facing tremendous obstacles. The honored teens delivered tear-inducing and inspiring speeches. 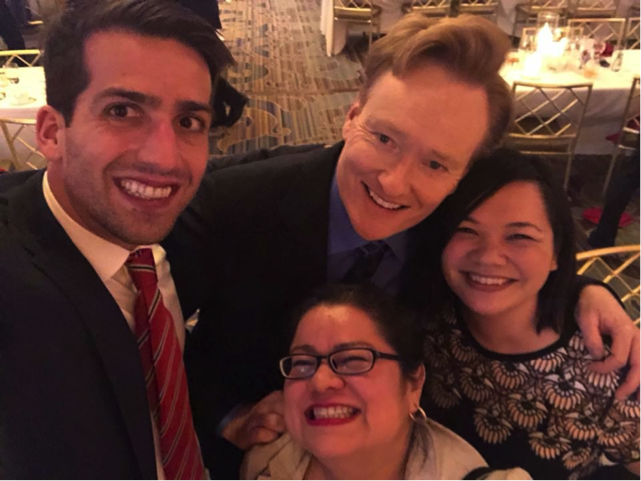 Introducing the teens was CDF Founder and giant in the field Marian Wright Edelman, and emceeing the event was late-night celebrity and CDF Board Member Conan O’Brien. Commenting on Cannabis: First 5 LA has been monitoring issues relating to cannabis regulation and its implications on community development. 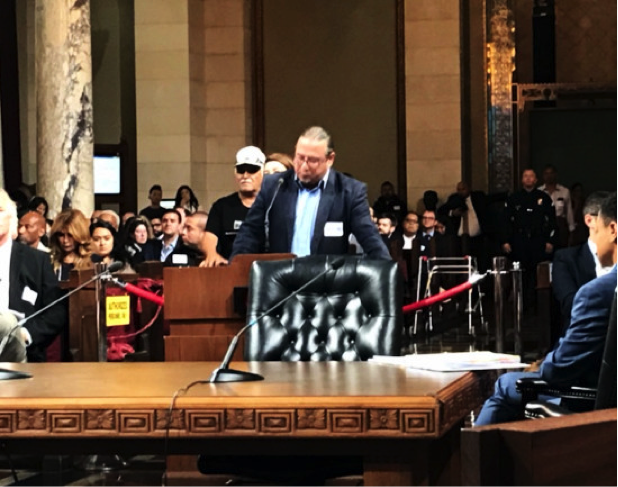 First 5 LA Community Relations Officer Alejandra Marroquin and Director of Community Relations Rafael González recently attended a Los Angeles City Council meeting where González provided public comment on the City’s Cannabis Social Equity Analysis Report Recommendation to create a Community Reinvestment Fund. González commented on the need to establish that youth development and education are given top priority when considering investment into communities most impacted by prior cannabis policy and enforcement; and to ensure that any funds spent on youth development and education target children and youth from 0-18 years of age.